“Jazz is a team game”. This was said a few days ago by T. S. Monk, a stellar jazz drummer who is touring Australia. Monk (son of Thelonious) was chatting on community radio about his art. “In a jazz group, everyone gets to solo. No one is the star, because everyone’s the star.” I’d never really thought about it this way, but he’s right. A jazz group is a strange democracy of geniuses. Case in point. Grant Green was a guitarist. I didn’t know that when I found this LP – I had never heard of him. I still didn’t know it when I had listened to the record. I loved it: dazzling be-bop, amazing musical prowess. But no instrument stands out. Everyone solos, even the drummer. I guessed Grant Green might have been on sax. All this shows that I don’t know much about jazz, but I’m learning. 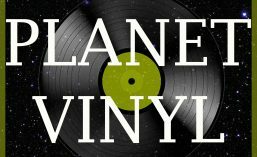 That is part of the point of Planet Vinyl. Grant Green, who has been described as “one of the great unsung heroes of jazz guitar” was born in Missouri in 1935, and recorded prolifically, mostly for Blue Note records and mostly in groups headlined by others. Like many other jazz greats of that time, drug addiction marred his career and ruined his health, and he died aged only 38. But, man, could he play. The LP was originally recorded in 1964, but inexplicably not released until 1979. Even a jazz neophyte like me can recognise it as a work of genius. This track, a Duke Pearson tune called “Minor League”, is the album’s opener. Like everything else, it is brilliant, with solos all round. Green shines on guitar, but so does everyone else: James Spaulding on alto sax, Joe Henderson on tenor sax, McCoy Tyner on piano, Bob Cranshaw on bass and Elvin Jones on drums. I used to wonder why, when you hear jazz on the radio, the announcer gives the name of every musician. This is why. Jazz is a team game.